Enter your email below to download a free song from the new GRUNTRUCK album! As a bonus, you will receive the official Gruntruck and FOUND Recordings newsletters which will keep you up to date on future news and releases. FOUND Recordings is proud to announce the lost third album from Seattle grunge pioneers GRUNTRUCK, recorded in the 90’s by the original lineup at the height of their powers. The self-titled album features 11 unreleased tracks recorded and produced by Jack Endino (Nirvana, Soundgarden), and Martin Feveyear (Screaming Trees, Queens of the Stone Age, Mudhoney), this blistering album captures the heady days of the Seattle music scene at its peak. Fans of the genre will be treated to a rare opportunity to relive an important musical era with all-new studio recordings. 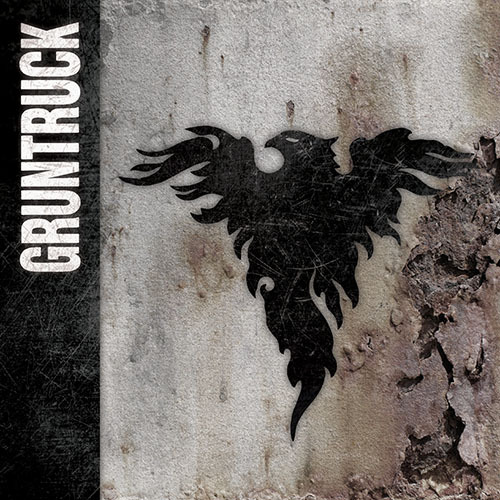 The new self-titled album from GRUNTRUCK is out now! And if you order the album today, you will receive a song instantly! And we'll send you the entire album in your preferred format as soon as humanly possible.